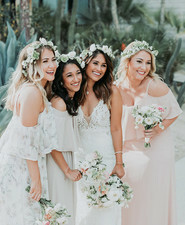 Pina Cate was behind the gorgeous florals throughout. 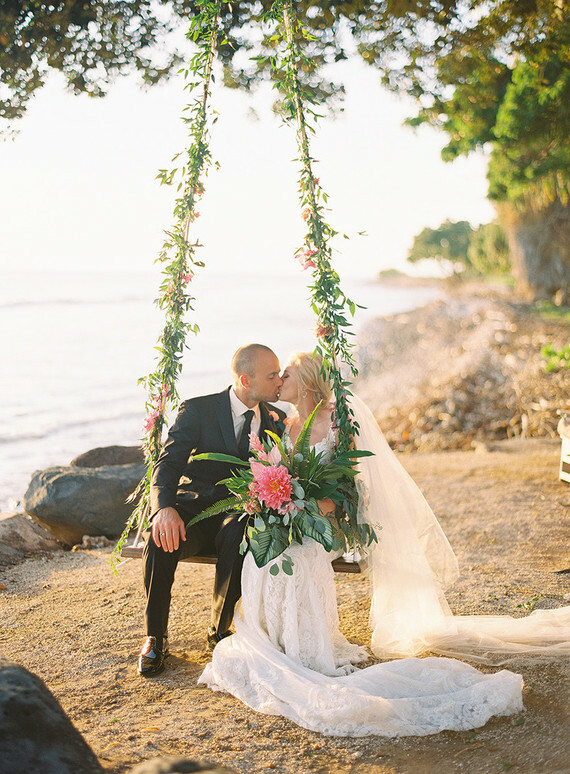 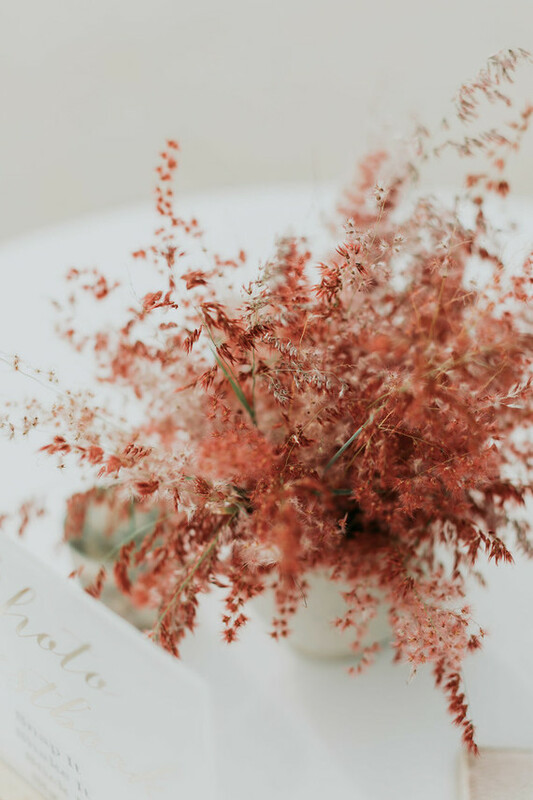 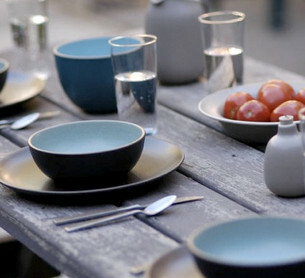 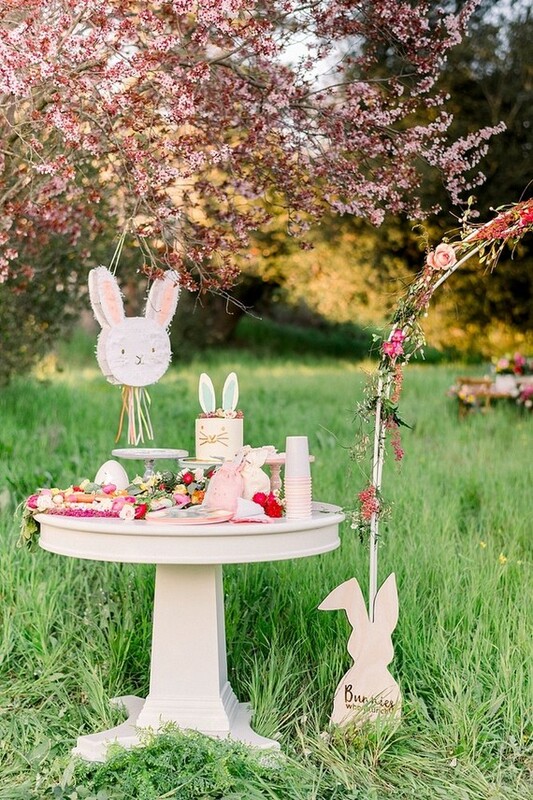 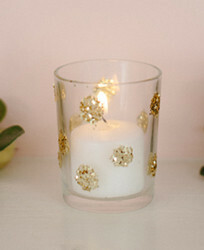 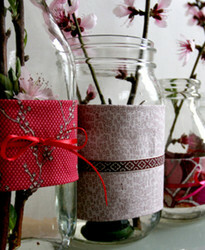 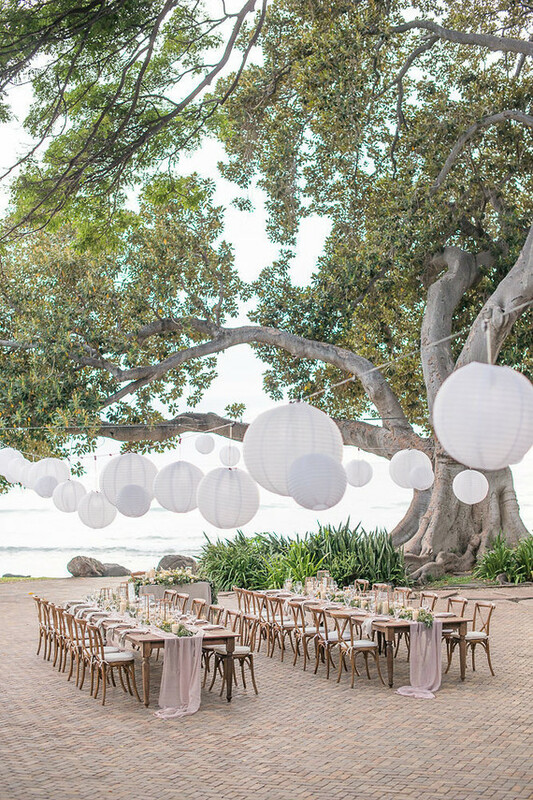 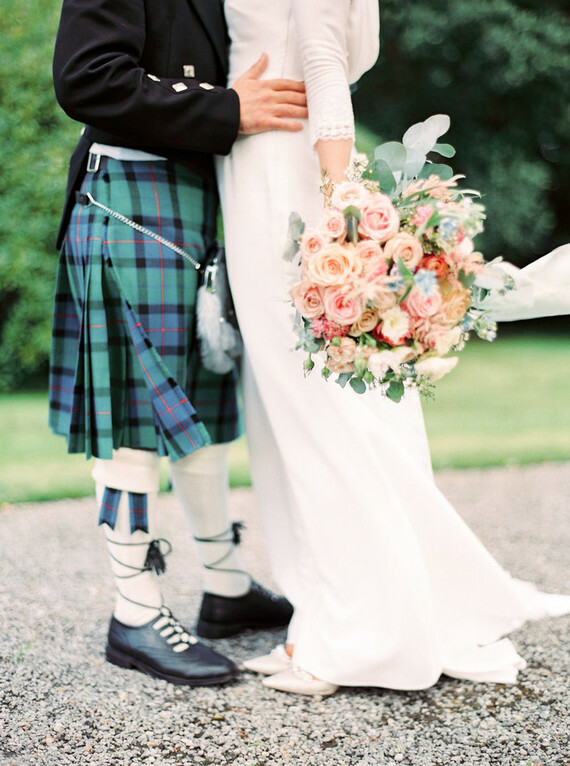 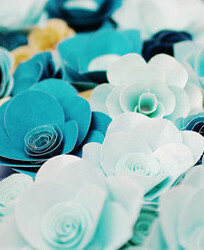 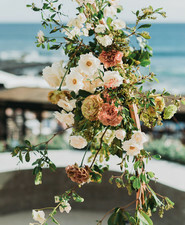 Love this romantic, beachy color palette! 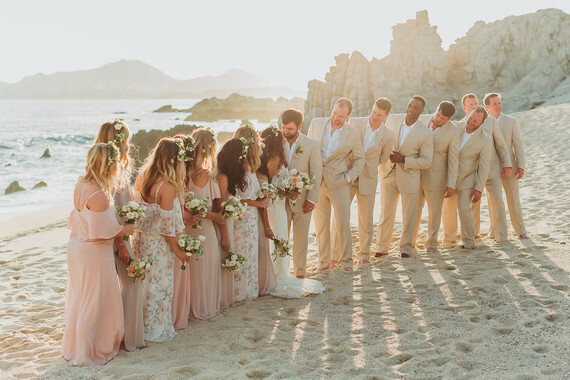 Jenn + Blake had actually been to Cabo together a few years back, so it came straight to mind when it was time to find a wedding location. 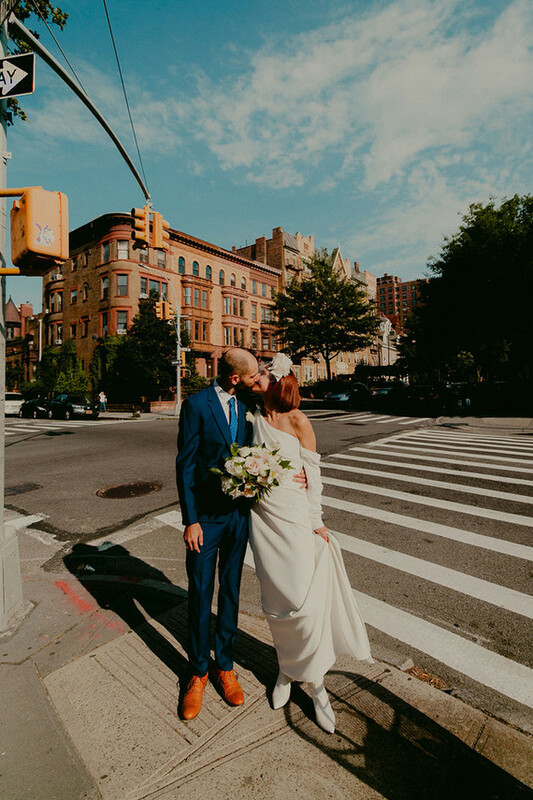 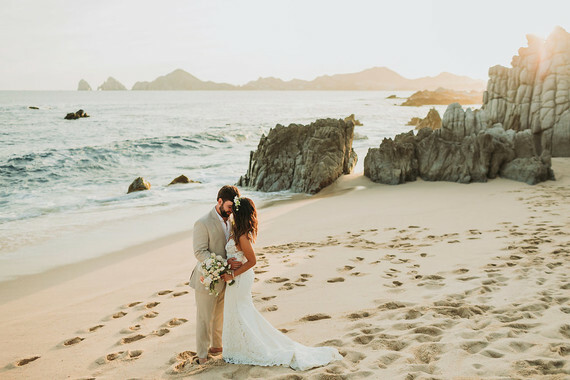 They loved how The Cape has stunning views and a lively environment for guests (more on that in Jenn’s blog post). 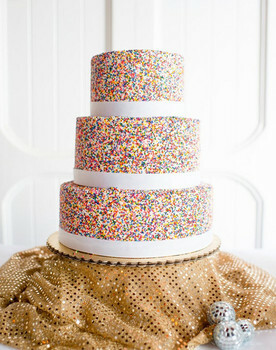 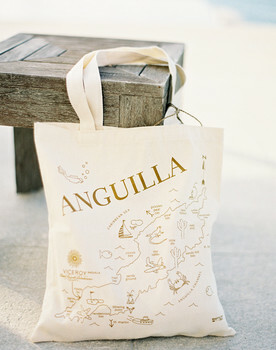 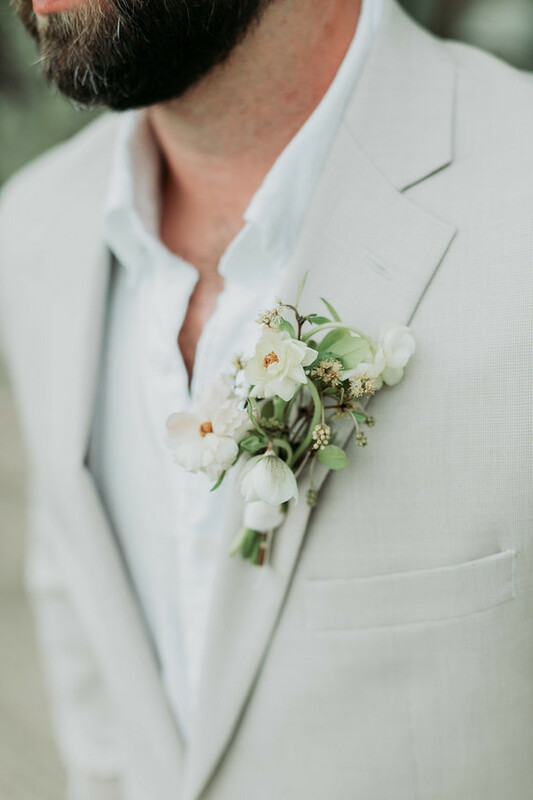 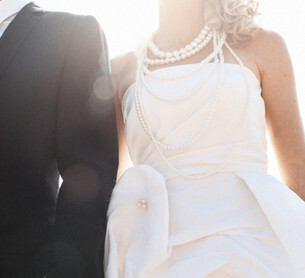 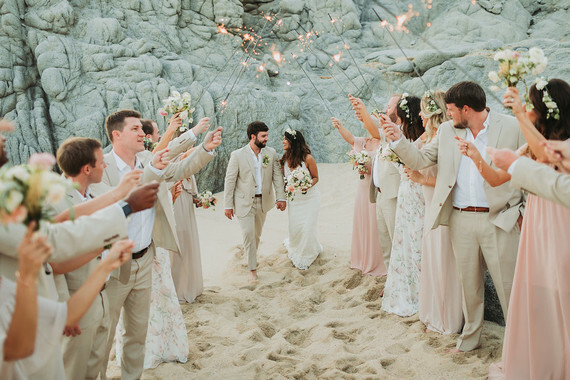 Grooms with beach weddings in the works, better take notes on this ensemble… Perfect for a destination wedding, right? 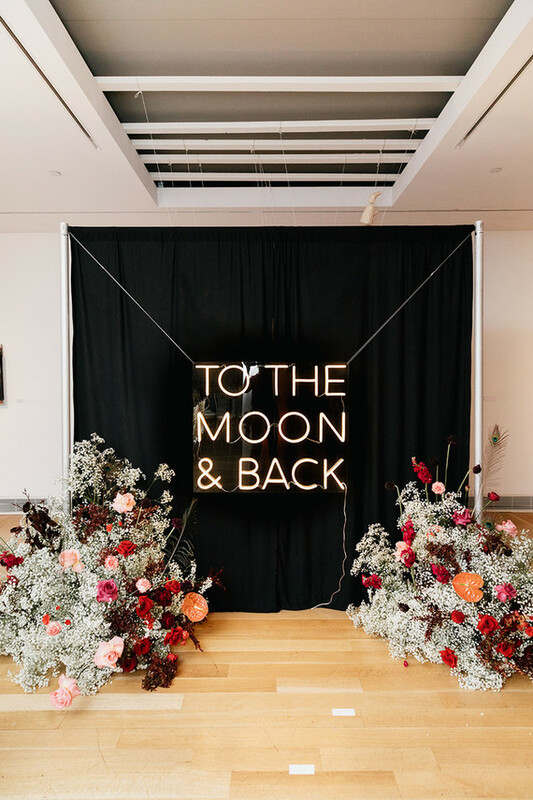 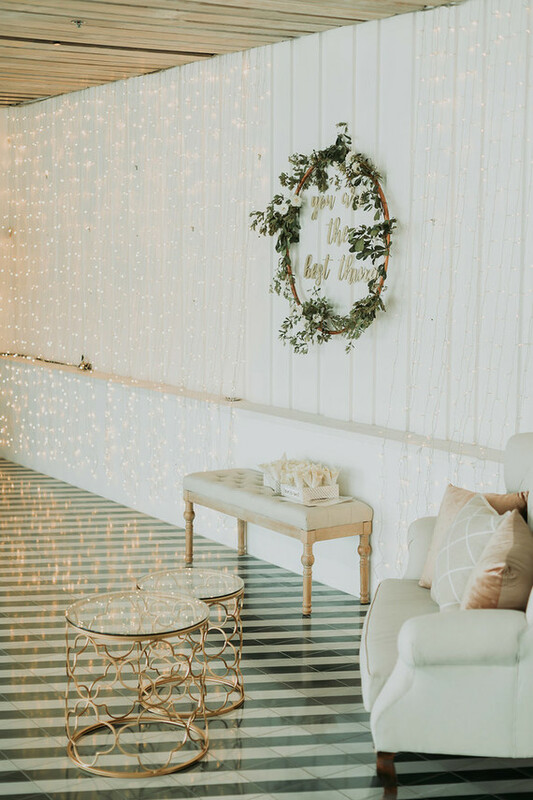 Some fun details involved: They created custom welcome bags filled with thoughtful goodies like drink koozies and festive pool floaties, had their rehearsal dinner on a sunset cruise around the famous arch (as mentioned in this post), and put string lights and tables around the dance floor for a relaxed but festive atmosphere. 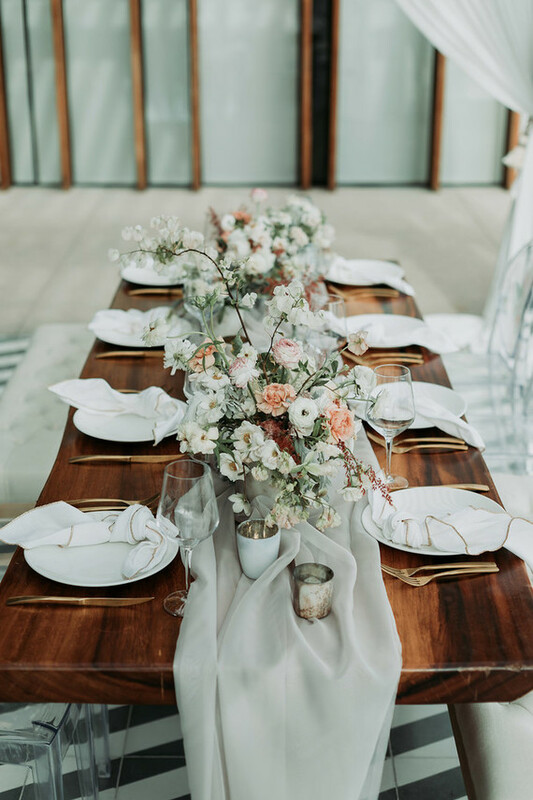 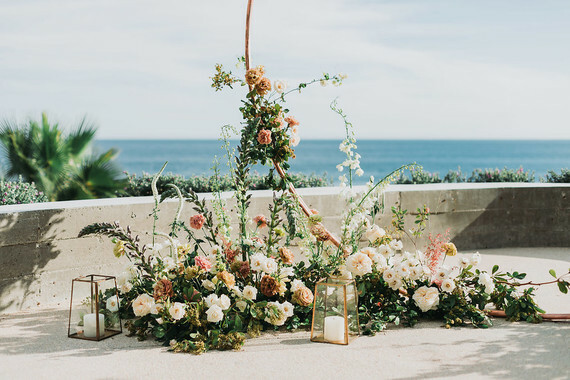 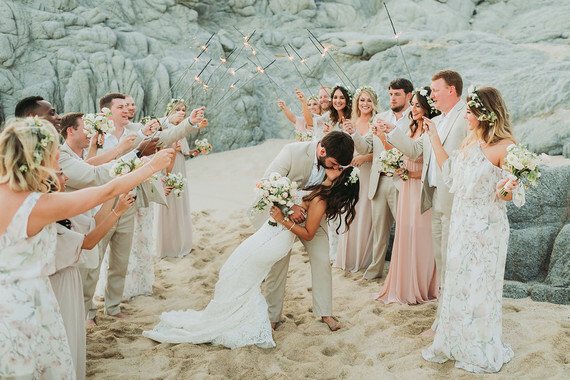 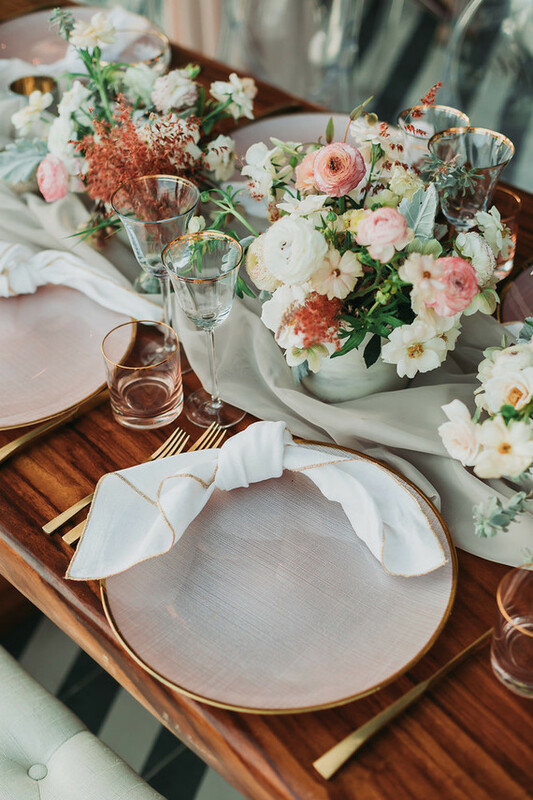 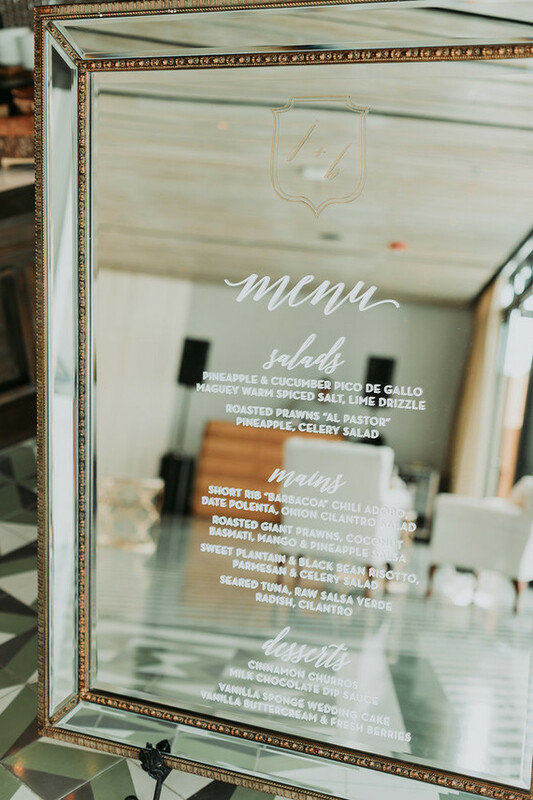 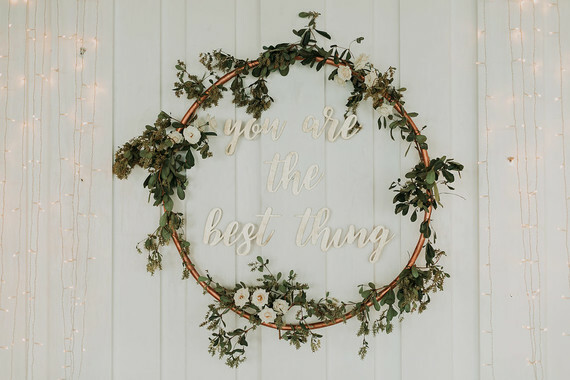 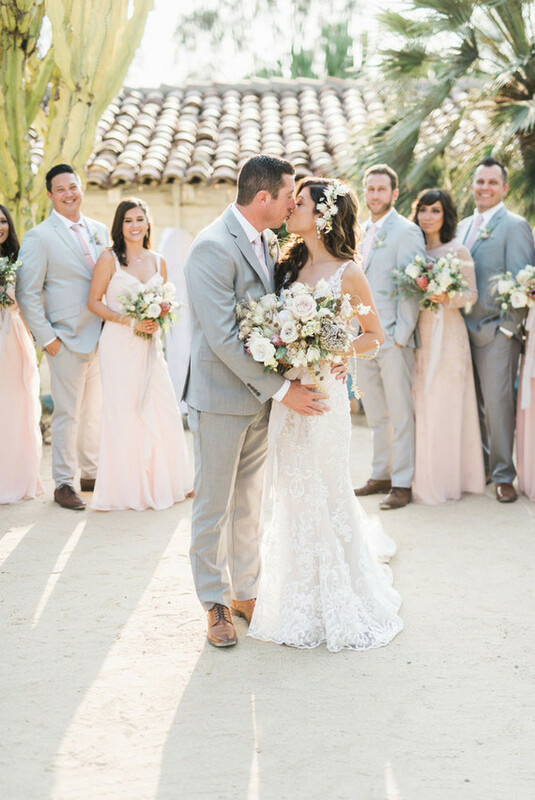 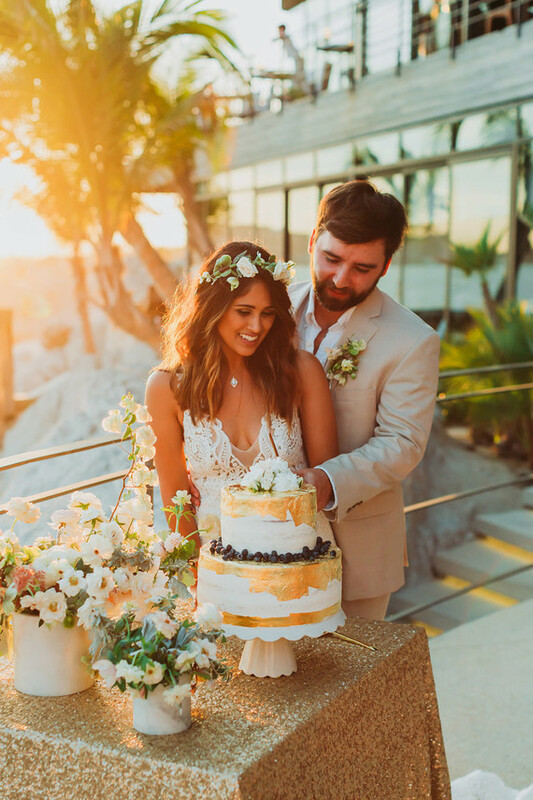 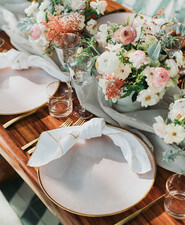 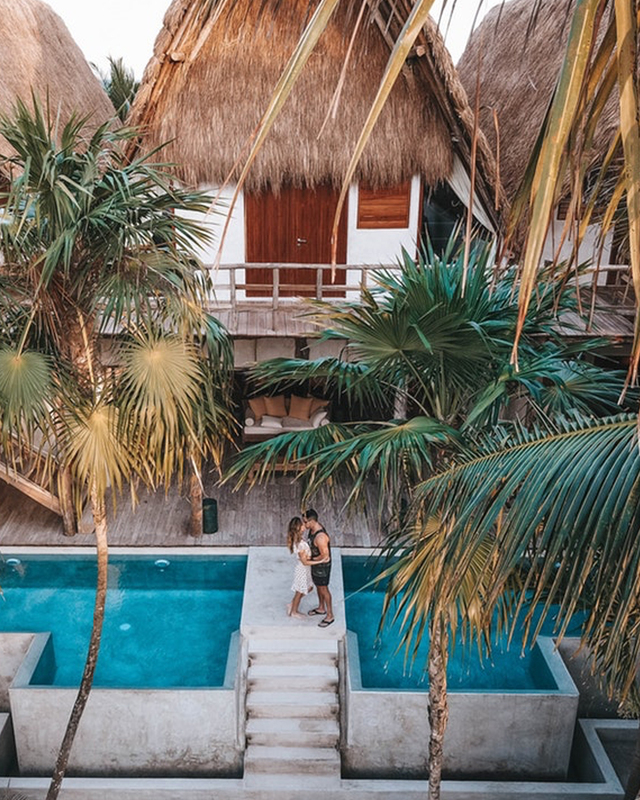 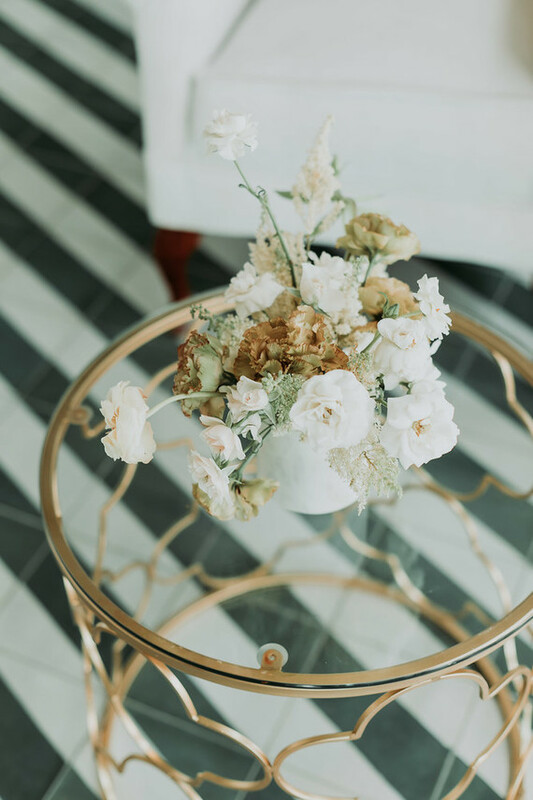 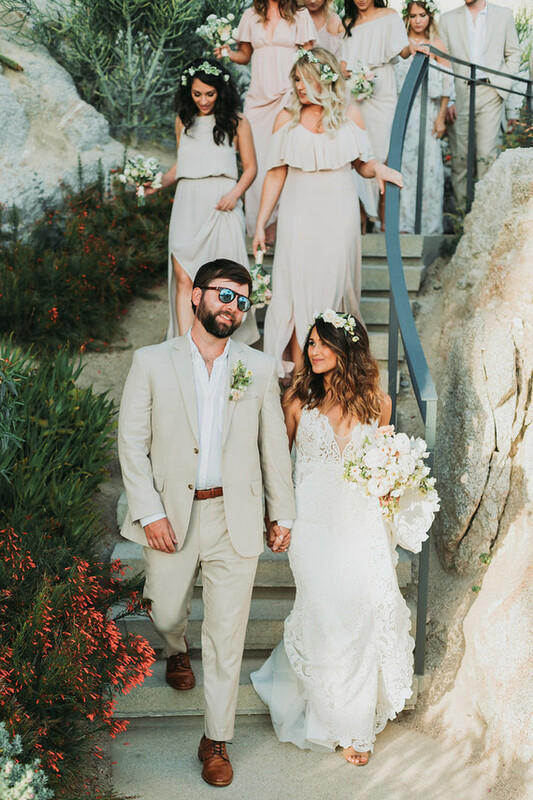 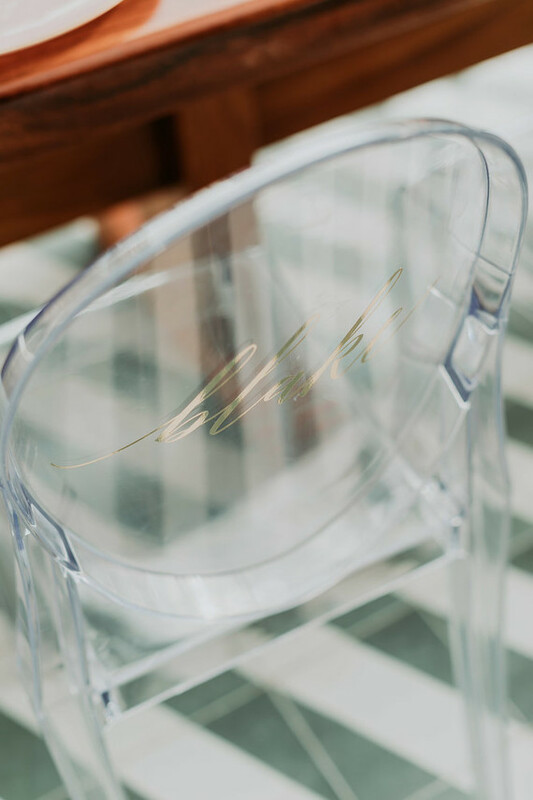 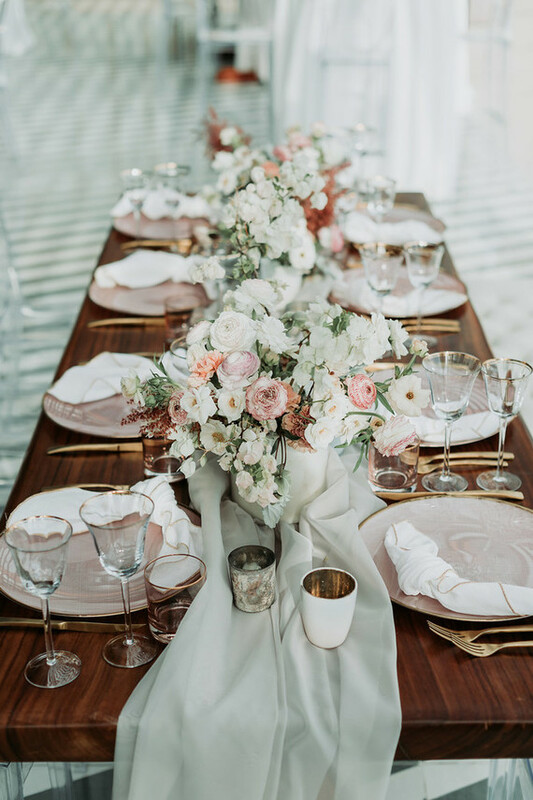 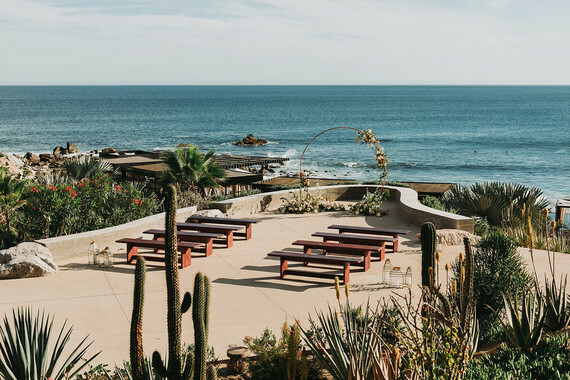 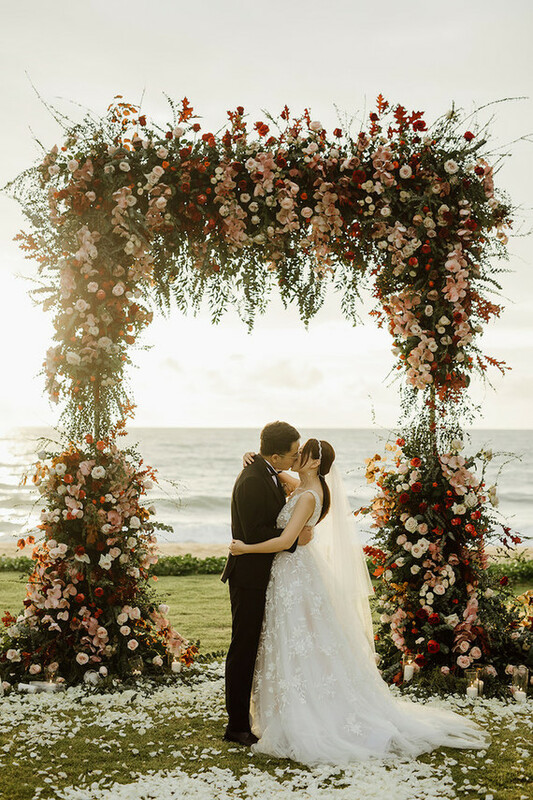 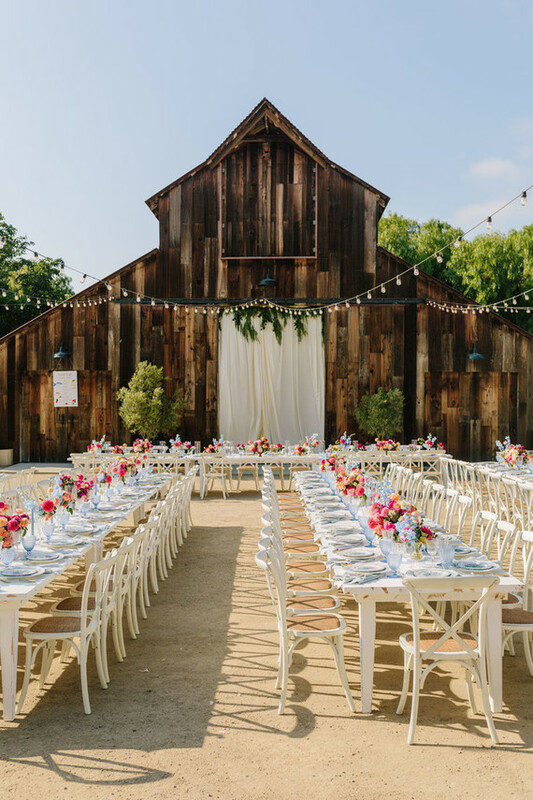 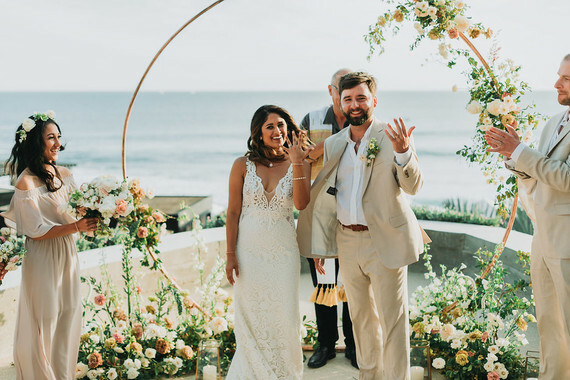 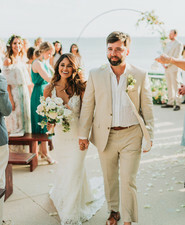 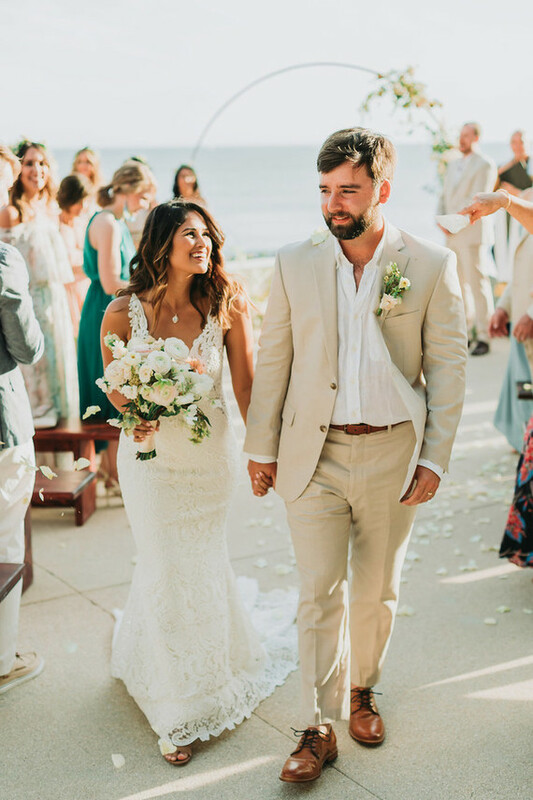 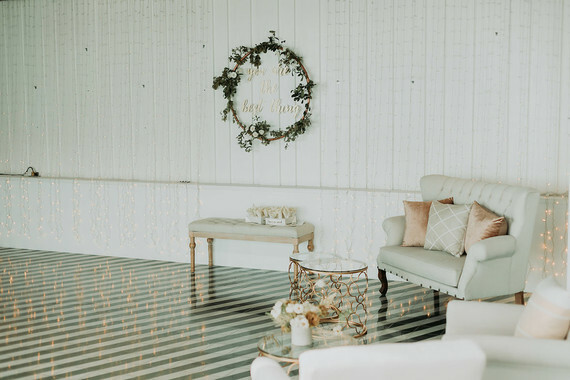 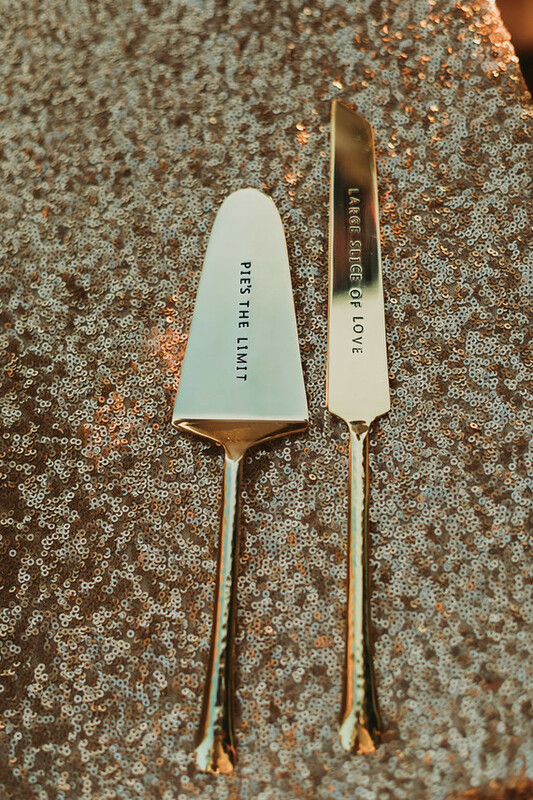 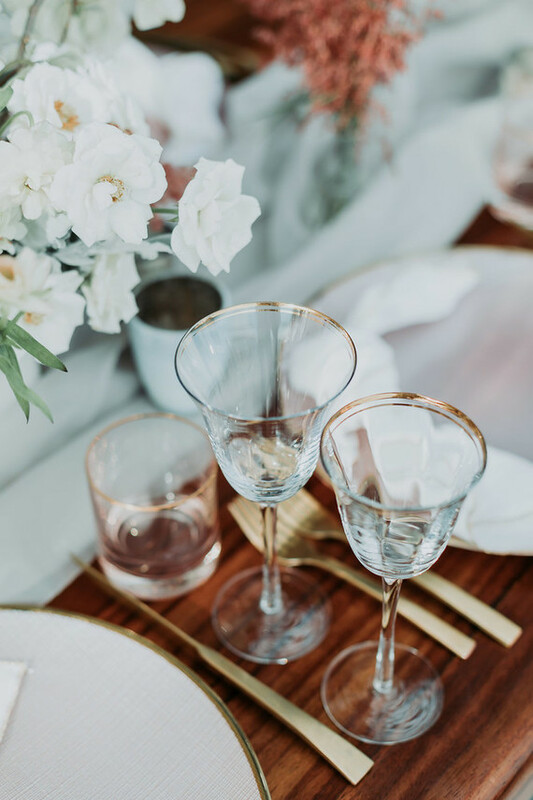 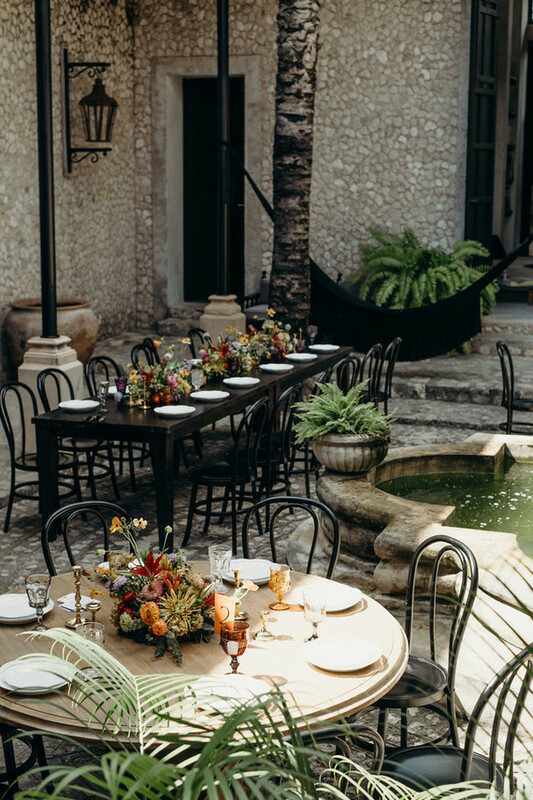 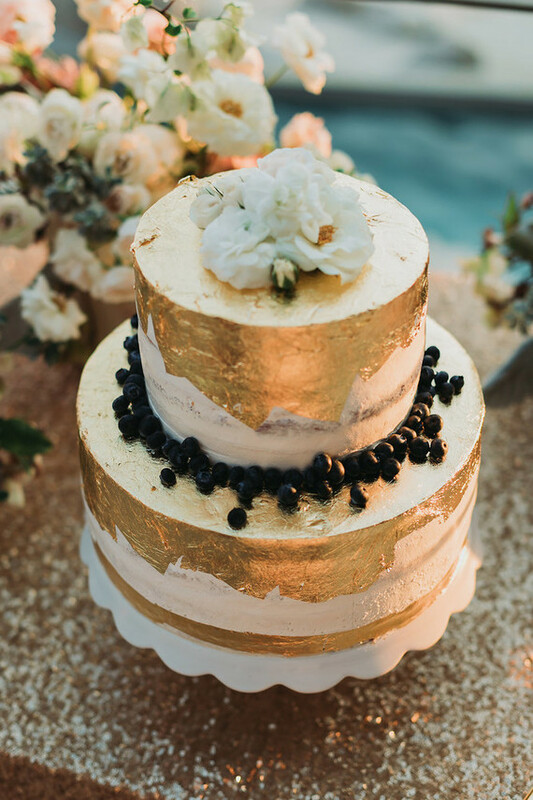 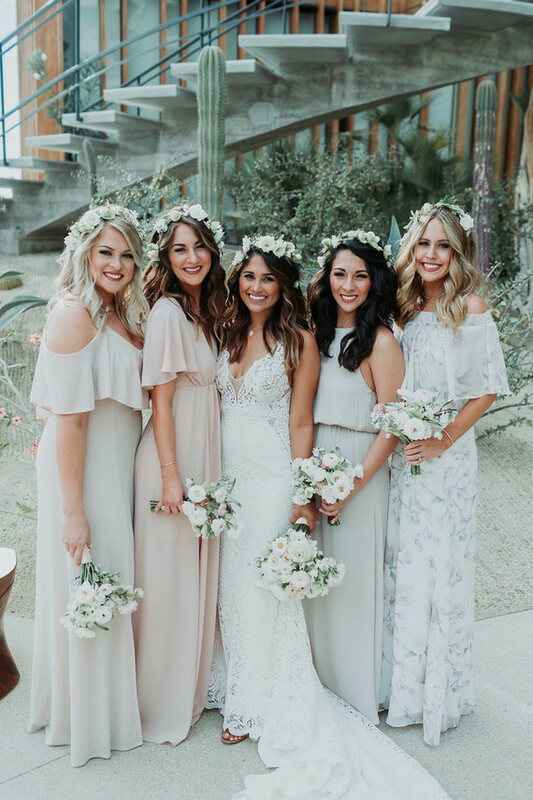 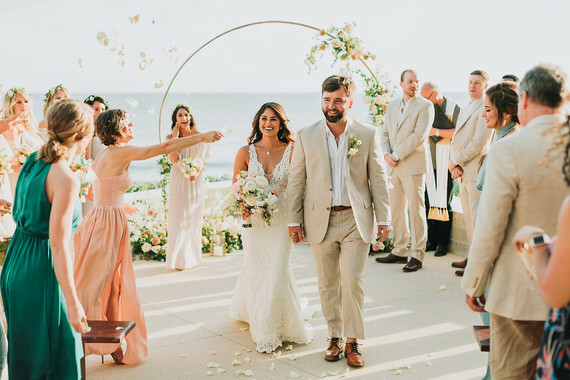 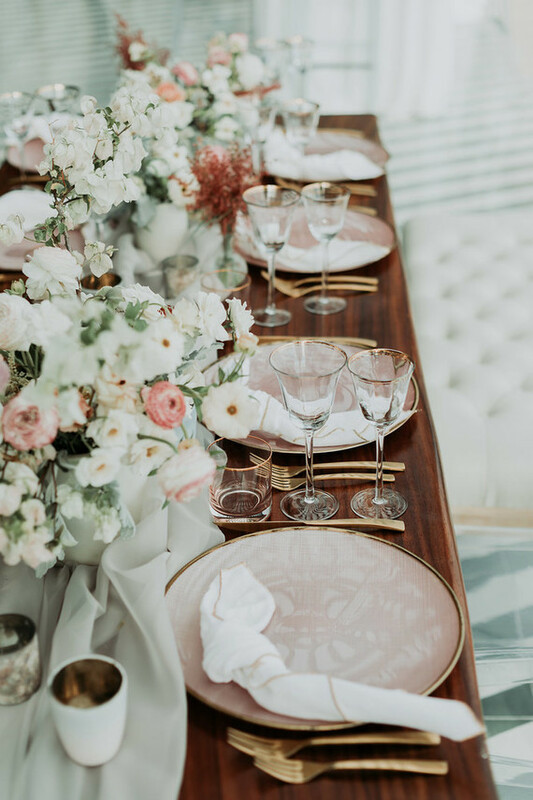 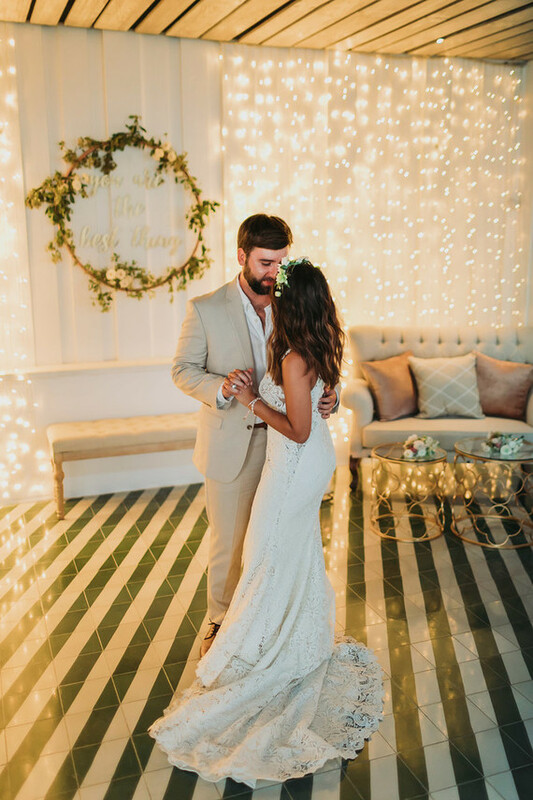 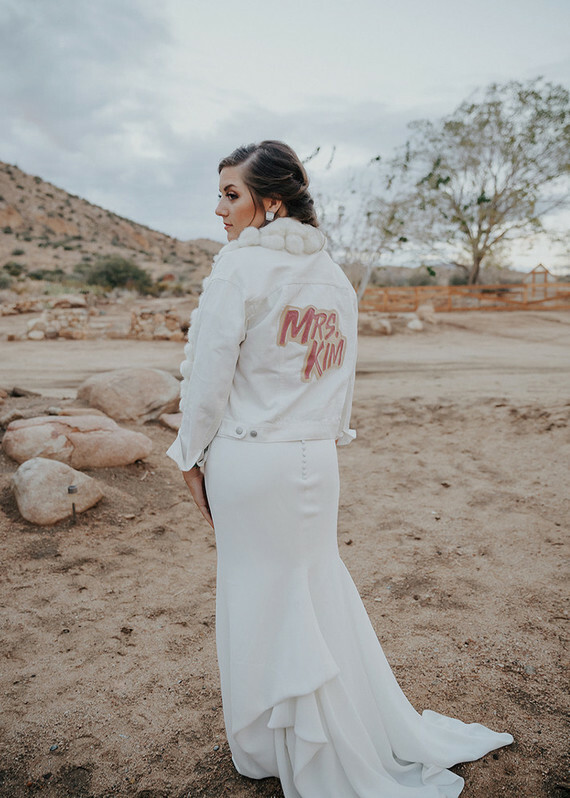 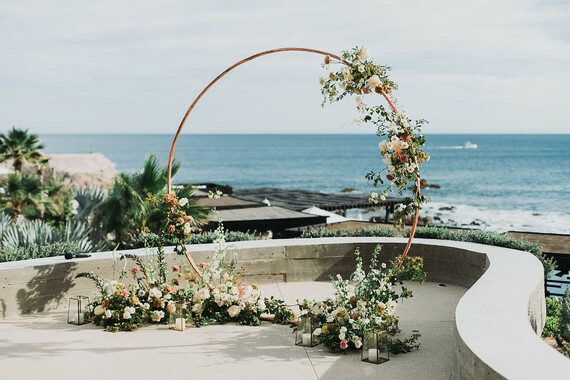 Lauren of Amy Abbott Events says, When Jenn chose The Cape Hotel in Cabo San Lucas for her wedding, she knew that it would not only be the perfect backdrop for Instagram worthy photos but also, the ideal atmosphere for her guests to unwind and let loose. 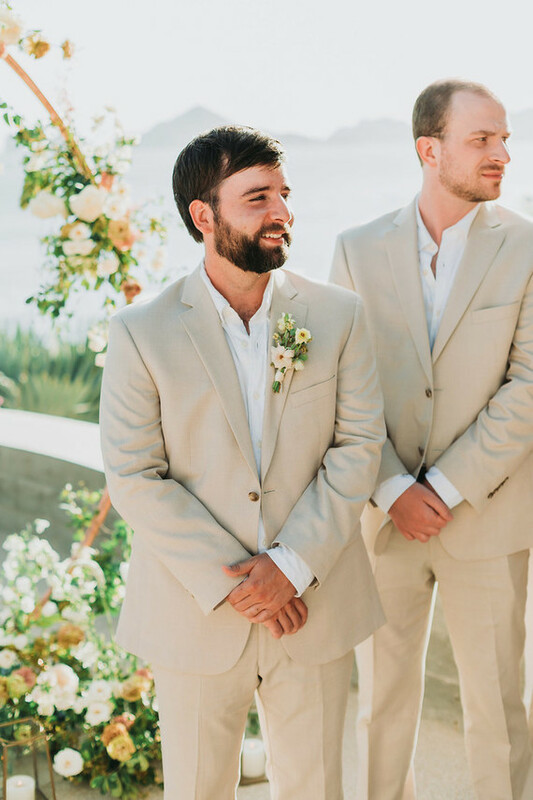 Thus, creating spontaneous moments of laughter and joy for the photographer to capture. 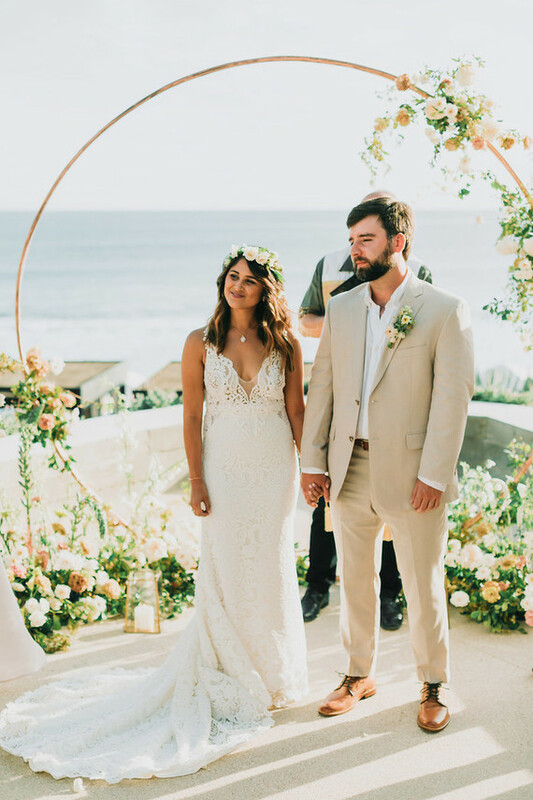 Cheers to Jennifer + Blake!